Make QuickBooks work for property management when you integrate our cloud software with your QuickBooks account. Sign in with your QuickBooks account instead of using a new email and password for NowRenting. Sync your rent payments to your QuickBooks company to simplify accounting. Take control of your rental finances simply and efficiently. Ready to create a more streamlined approach to your rental business and its financials? 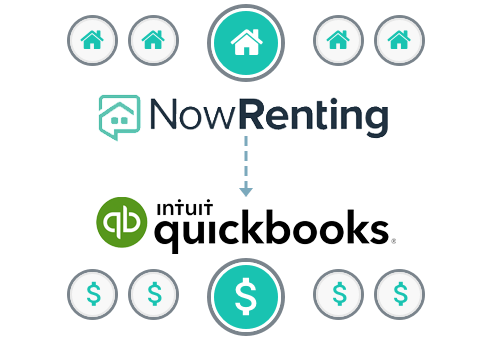 NowRenting is the best way to use QuickBooks for property management, whether you’re a landlord or property manager. Sign up for an affordable NowRenting account and integrate QuickBooks today!